I'm a big fan of birthdays! I enjoy celebrating the day that I first came into the world, and it's even better when I get to do that with the people I love. This year's series of celebrations was certainly a lot more low-key than last year, but it was just as fun as always. I feel incredibly blessed to have such wonderful people showering me with love (including all of you! ), and I was really lucky to get to do a few different things in honor of my birthday. Macky and I went out of town for another trip to Cape Cod last weekend, where we took full advantage of the beach, brunch and bookstore. It was really fun! And on Wednesday in the wee hours, as is tradition in my family, Mel surprised me at midnight with balloons and a present. Macky surprised me the next morning with birthday cupcakes and a bunch of presents! On Wednesday at work, my coworkers were sweet enough to get me cake, donuts and pizza. 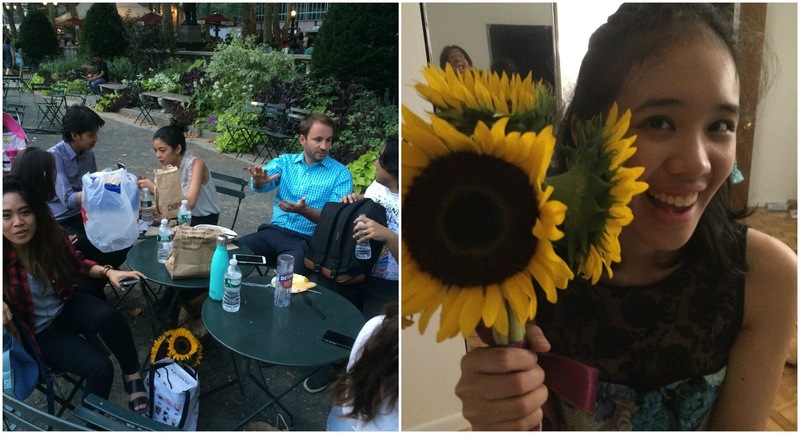 And after, I met up with some of my closest friends at Bryant Park to celebrate with a cake party! Everyone was required to bring dessert, and we were definitely on a sugar high post-consumption. To balance out all the sweet, the boys went to grab everyone some Chipotle to munch on. 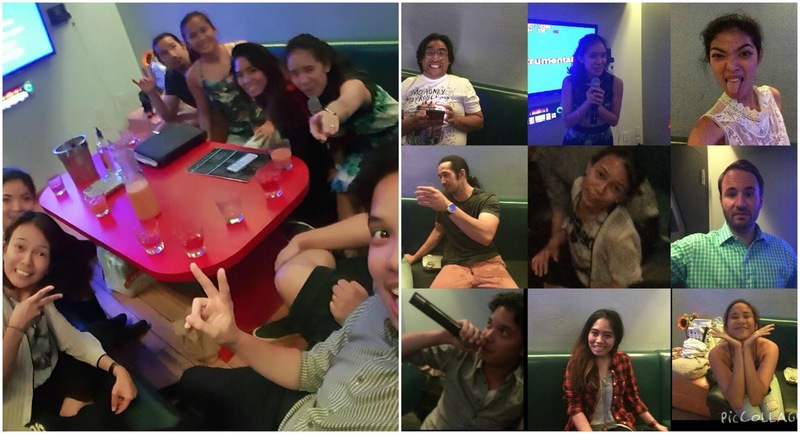 We spontaneously decided to indulge in a karaoke night, and it was the best choice! We had so much fun rocking out to some of our favorite tunes, and spent the entire three hours we were there singing and dancing to song after song. It was a late night on a weekday, and we all had work early the next day, but it was so totally worth it. I also celebrated with some blogging friends, my darling Rachel and Kelly. Kelly came up to NYC for the day so she could be at my birthday dinner at Dos Caminos, a favorite haunt for celebrations. 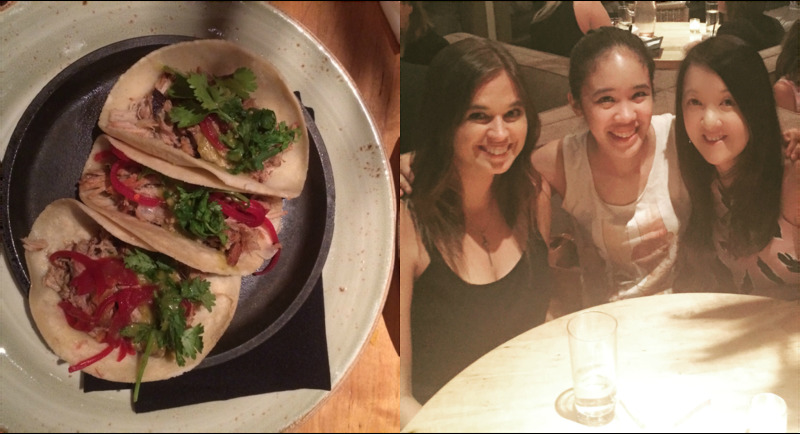 We had such a fun time catching up over dinner; it's always easy to talk about anything and everything with these gals. I'm so glad we were all able to hang out! 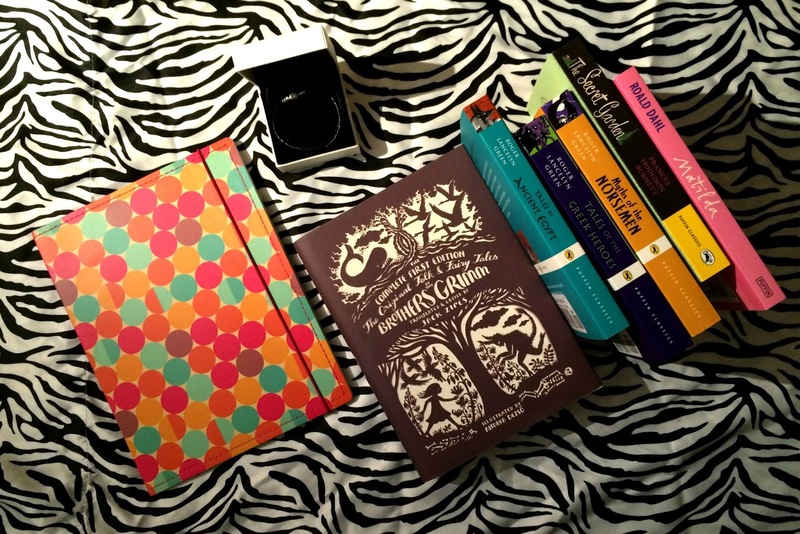 And there you have it - how I celebrated turning 26. I'm looking forward to the year ahead of me. I'm willing to be that there is so much more fun in store for me, and I cannot wait! Just real quick, I wanted to share the generous gifts I've gotten from my friends. I'm a little excited about how well they all know me! I'm so, so grateful for being showered with so much love by all my friends! Whether it's a generous gift or a lovely birthday greeting, I am so thankful for each and every one of you, and I can't wait to continue talking/tweeting/hanging out with you guys more! Your birthday looks like it was so much fun. I'm so sad I wasn't there, hahaha. Maybe one day! No, definitely one day. Happy birthday again! 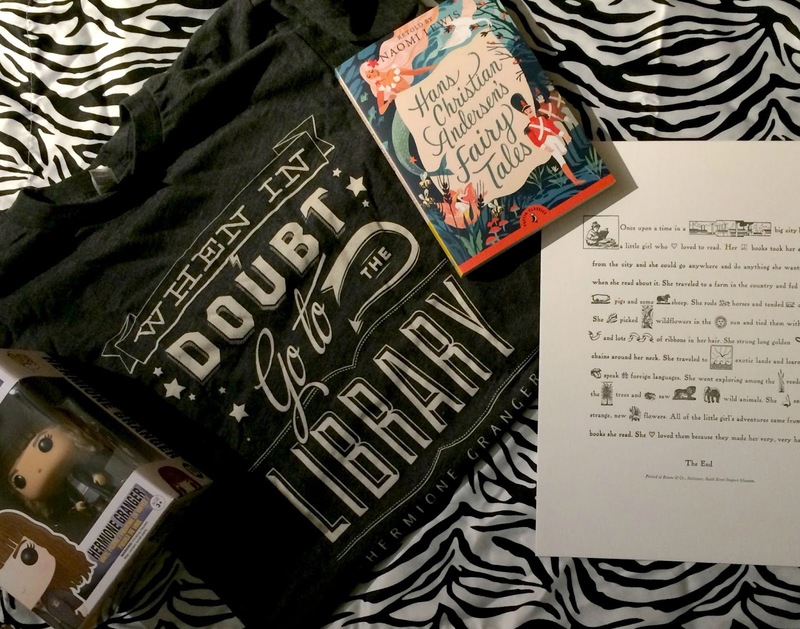 Your friends got you the cutest bookish things! I love that Hermione shirt so much! Also Cap! Hope you had a fabulous day!!! Birthdays definitely need to be celebrated!! Looks like you have a wonderful birthday! I think.. that you had the best birthday there is :D So jealous, lol. And so happy for you. 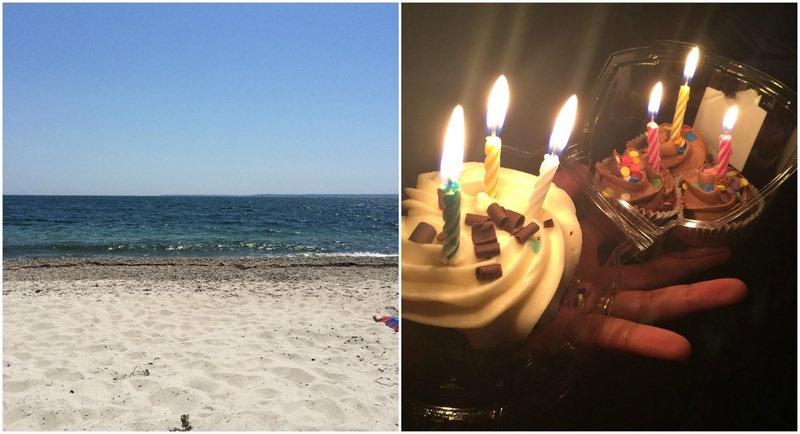 <3 Yay for turning 26 :D Thank you for sharing about all the fun things you did Alexa. <3 Love this post. Happy Birthday! 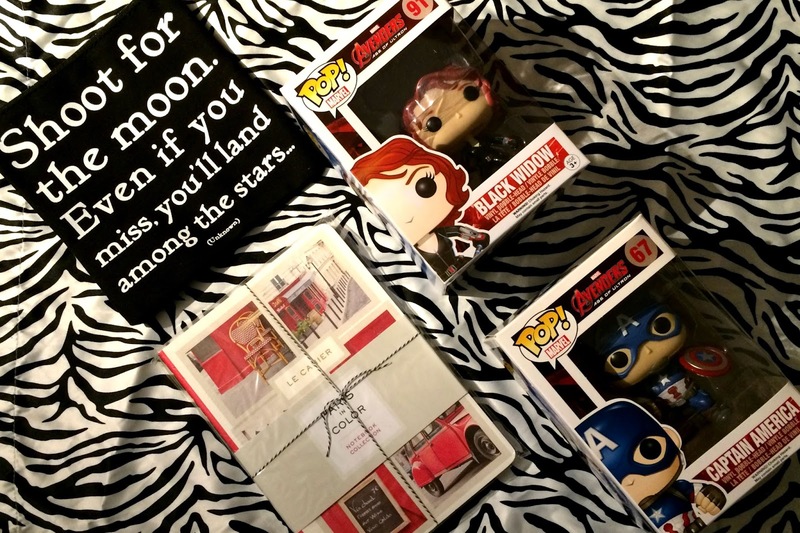 Your celebrations looked fun and you got some amazing gifts. I turned 26 last week too. Happy birthday! 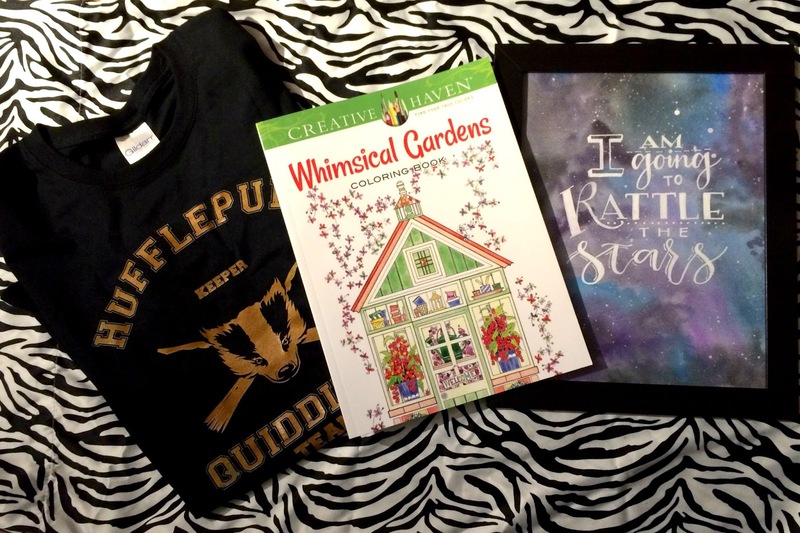 It sounds like you had a swell time, and oh my gosh-- that Hufflepuff Quidditch t-shirt is the best! Sounds like you had an amazing birthday!!!! I've been wanting to do karaoke for my 30th this year and I'm still trying to convince Will (and my sis and brother in law and other friends) that it's a good idea soooo you better come down for it if it happens so someone will do it with me!!! WHAT IS WRONG WITH EVERYONE KARAOKE IS THE BEST. How did I not realize you're only 26?! I feel so old now, lol. Anyways, so happy you had such an amazing day. You deserve that and more. Happy birthday!